Happy holidays: Inventions we need now! Can’t decide if you want a scarf or a fruitcake? Aim higher! The Why Files cooked up a science-lab wish list for the season. Let’s meet ‘n greet The Why Files big four inventions for a happier, healthier tomorrow! Pie in sky? Why not stash carbon dioxide in the basement? 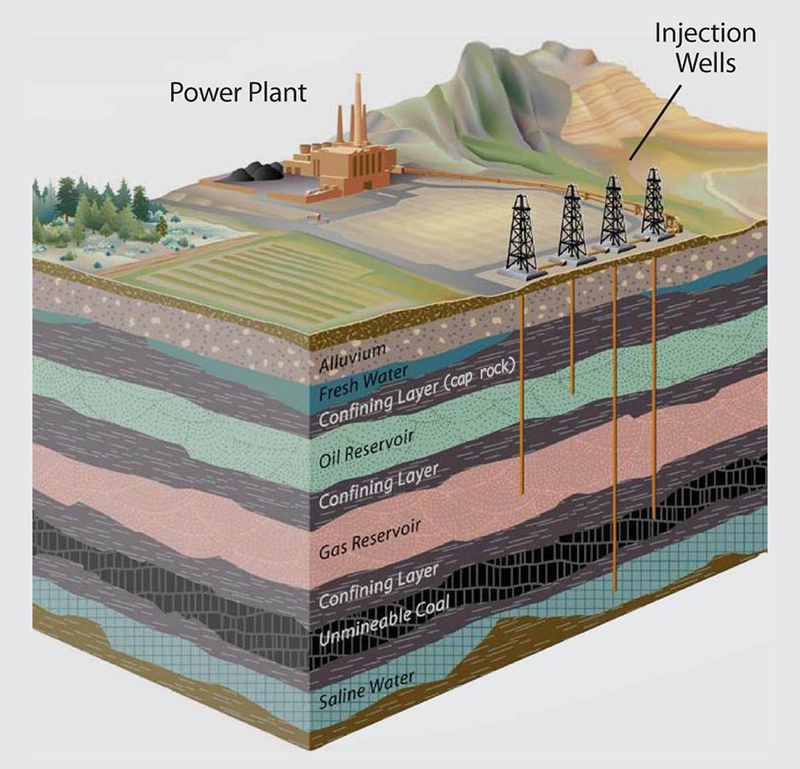 Adopting a method used to increase flow of oil to the surface, carbon capture and storage places liquefied carbon dioxide from coal plants deep beneath Earth’s surface, in porous rock formations under dense “cap” rocks that should permanently hold the carbon. But how much testing is needed to assure permanence? The problem: Carbon dioxide – the king of the greenhouse gases – is warming the climate and raising sea level. The holiday gift: A technology called “carbon capture and storage” (CCS) has panacea scrawled all over it: Solve the problem of fossil-fuel carbon dioxide by capturing the gas at the generating station. Inject it deep into the ground, where it will — we hope — solidify into stone. Because carbon dioxide injections mobilize oil in partly-spent oil fields, this pollutant is worth money. Oil recovery is the goal of 20 of 27 CCS projects now operating or being built. The other seven will inject the gas into deep rock formations beneath a cap rock. CCs is difficult, and expensive: the budget for the flagship U.S. effort, the Kemper-IGCC project in Mississippi, has ballooned from $2.4 billion to $5.6 billion. The plant is scheduled to start in May, 2015, one year late, and to pipe its carbon dioxide to an oil field. A steel plant in the United Arab Emirates is expected to start injecting 800,000 tons of carbon dioxide for oil recovery in 2015. The upshot: CCS is unproven, and even a rapid move toward a safe, affordable technology will not come close to solving our climate woes. More research is needed. If the goal is to store carbon underground, it may even be cheaper to leave petroleum, natural gas and coal where it is. The problem: Influenza keeps evolving, so we need a new flu shot every year, and it doesn’t always work. 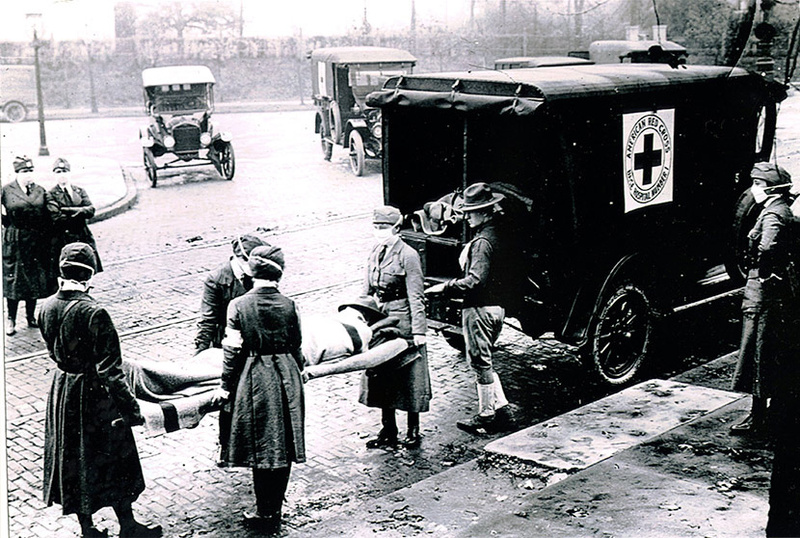 The Motor Corps of the St. Louis chapter of the American Red Cross on ambulance duty during the influenza epidemic. In 1918 and 1919, in the aftermath of World War I, influenza killed 50 to 100 million around the world. The holiday gift: Influenza viruses evolve to battle the immune system. Immunity to last year’s virus fails against this year viruses, so we need an annual vaccination containing viruses expected in the coming flu season, and predictions are chancy. So flu researchers dream of a universal vaccine that would protect against any virus strain, even a deadly flu like H5N1. Now, some of the obstacles have become clear — and perhaps surmountable, says Thomas Friedrich, a virologist and associate professor in the School of Veterinary Medicine at the University of Wisconsin-Madison. These three improvements would go a long way toward improving protection against flu. Generate “broadly neutralizing” antibodies. The flu shot induces antibodies, immune molecules that block structures the virus uses to infect cells. Because the antibodies are targeted against strains present in the vaccine, the virus is forced to evolve to “escape” the vaccine. Researchers have recently found people and animals with antibodies that neutralize most flu strains, even bird flu. Still to come: ways to induce these broad antibodies with a vaccine. Recruit additional “arms” of the immune response: Currently, vaccines induce antibodies that recognize fast-evolving parts of the virus. T cells and non-neutralizing antibodies that recognize static elements could be effective against many strains, if we are able to stimulate them with vaccine. Make vaccines faster: It takes almost a year to grow vaccine in chicken eggs — after next year’s strains are selected. Vaccine producers are adopting modern cellular and molecular biology techniques that hasten this process, but the pace remains slow. The upshot: A universal vaccine will not arrive tomorrow, but progress is likely with good funding. 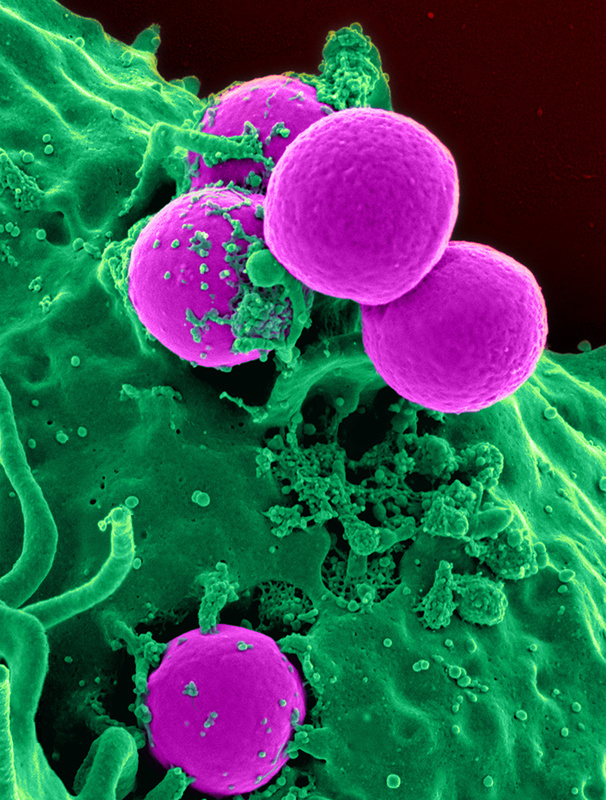 Better antibiotics on the horizon? The problem: Abuse of antibiotics, in human health and animal agriculture, has caused a resistance crisis. When antibiotics kill susceptible bacteria, the bugs evolve toward resistance.”Super-bugs” are emerging from India, where babies are routinely injected with strong antibiotics, which helps accelerate the very infections they are intended to save. The holiday gift: Antibiotics that work without killing bacteria. The idea is not to be nice to pathogens, but to avoid causing resistance to evolve. Quorum sensing: Many bacteria release “I-am-here” chemical that their own species can detect. Once the microbes are numerous enough to withstand immune attack (when they reach their “quorum”), their behavior can change from harmless to hateful, as they secrete toxins or tissue-destroying enzymes, or form a biofilm that protects from harm. At UW-Madison, Helen Blackwell is investigating the signals of quorum sensing in an effort to trick bacteria into thinking that their numbers are small so they remain harmless. She says such a tactic could avoid the antibiotic-resistance paradigm. Because the bacteria are not killed, there is no selective pressure for resistance. Madison (Wis.) Metropolitan Sewerage District distributes biosolids — the remains left after sewage is processed — to nearby farms. The district injects its liquid fertilizer-soil conditioner into the soil, minimizing runoff and odor. Rollover to see the injection machine being filled: Notice the tidy bucket that catches spills during the transfer? The upshot: Learning to mess with the bacterial signals could sidestep the evolved-resistance problem. But don’t count bacteria out. They outnumber us, and they will do anything to come out on top. The problem: Soil, the basis of civilization, is easily damaged by erosion, over-cropping, and other abuses. Gardeners compost organic scraps, and municipalities compost the “biosolids” left after biological treatment of sewage. 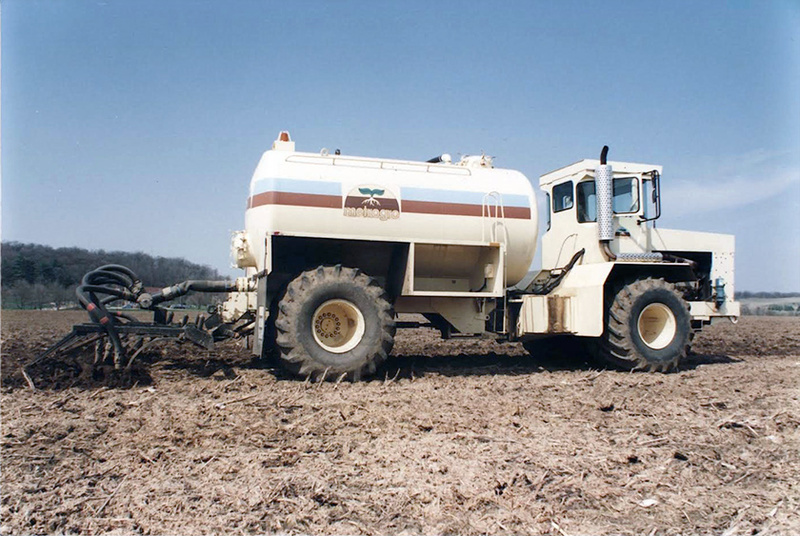 About 60 percent (4 million dry tons) of U.S. biosolids was applied to land after treatment in 2004. It’s time to recycle the 40 percent that was buried or burned. The gift: Biosolids, when used with care, improve soil’s structure, water retention and nutrient content, while reducing erosion and replacing conventional fertilizers. Biosolids are the leftovers from sewage, and they can carry toxic metals or pharmaceuticals, but when done correctly, biosolids are more thoroughly analyzed than the conventional fertilizer used on farmland. Biosolids are so effective they can even restore tailings piles at abandoned mines — which leach toxic metals as rainfall and sulfates in the rock form sulfuric acid. The upshot: More recycling would be better, but the mistaken “don’t defecate on our food” movement is strong. Yet caution is needed. Fear-mongering will only be fed by errors and short-cuts that cause soil or water pollution. Can Ethanol Replace Gasoline? Should it?